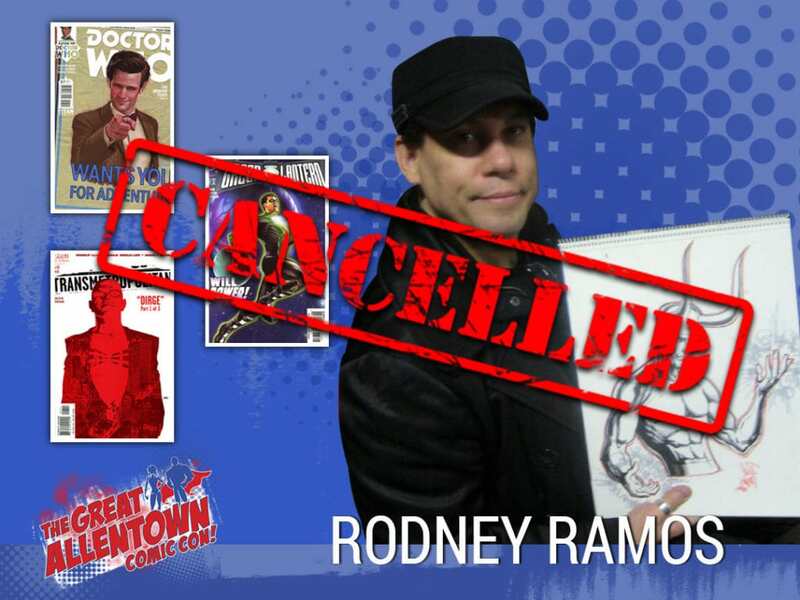 UPDATE: Rodney Ramos will not be attending The Great Allentown Comic Con! this weekend. Rodney Ramos has been a professional penciler / inker in the comic book industry for over 15 years. He started his career as an assistant to Mark Texeira. He then went on to Marvel Comics working in production doing art corrections as one of John Romita’s Raiders. He started penciling on such titles as Thundercats, Marvel Presents, What If , Conan and Toxic Avenger. He also started inking on a wide variety of books such as Gen-X, Ironman , Gambit, Punisher War Journal, Spider-man and Peter Parker the Amazing Spider-Man. He went on to Valiant to work with Jim Shooter to pencil Legend of Zelda and inking titles Armorines, Bloodshot , and X-O Manowar. While he was over in England he starting working for Marvel Comics UK on Black Axe, Super Soldiers, Death,s Head. He has worked at Marvel, Marvel Comics U.K, DC Comics, Valiant, Acclaim comics, Malibu and Continuity Comics with Neal Adams. His inks have graced many titles such as Spider-Man, X-men, Iron-man, Peter Parker, Batman, Wonder Woman and the critically acclaimed Transmetropolitan with Warren Ellis and Darick Robertson. Recently he has worked for DC Comics on 52, Countdown, Green Lantern, Batman, JSA, Magog, Vertigo,s Bang Tango and many more titles.